A popular locale for UNC students, Franklin Street, has the Varsity movie theater, great restaurants and places to shop. College basketball fans can see the Tarheels in action at the Dean Smith Center – or Dean Dome – located on UNC’s south campus. The Play Makers Repertory Company Theater features established and contemporary plays at the Paul Green Theater from September through May. The University Mall and Plaza is Chapel Hill’s first enclosed mall. Shoppers can admire art exhibits and explore many restaurants and eateries. The mall also holds A Southern Season, one of the largest specialty gourmet markets in the nation. There’s no shortage of places to keep everyone entertained. One of the great advantages of buying a new Chapel Hill home is the education available. Excellent schools are here as well as charter schools, private schools, and other choices. You can feel good knowing that schools in Chapel Hill are considered exceptional places to learn. Close to Research Triangle Park, the town of Chapel Hill offers a unique experience for residents and visitors. The Chapel Hill/Carrboro City School System serves students from K-12 with 18 schools. The system has gained recognition for having the lowest drop out rate and the highest SAT scores in North Carolina. With one of the highest per-pupil expenditures, CHCCSS has two literacy coaches at each elementary school and at least one full-time art and music teacher in every school. Chapel Hill is notably home to the University of North Carolina, the first public university. It has been ranked first among the best deals for four year colleges. Take a look at available Chapel Hill real estate below, and see which home best fits your needs. Contact us to tour a home or if you have any questions about home buying or home selling. 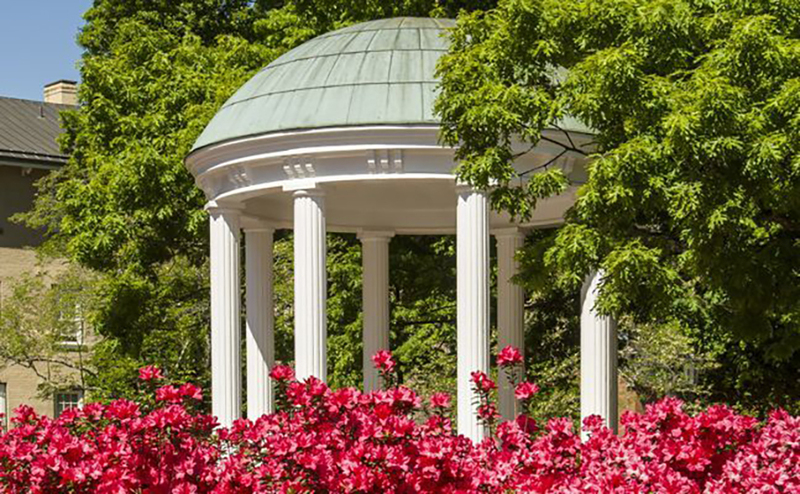 Ready to Begin Your Chapel Hill Home Search? Contact a member of The Jim Allen Group today and start your journey to buying your next home for sale in Chapel Hill!